2. Injuries really hurt the defense yesterday. Safety Brandon Jones tweaked his ankle before the game and didn’t play. Defensive tackle Chris Nelson was ruled out earlier in the week with an ankle injury but was cleared before the game. He played well but I doubt he was near 100%. Defensive end Breckyn Hager suffered a nasty elbow injury that took him out of the game early on. And cornerback Davante Davis suffered a shoulder injury on the first drive that forced freshman Anthony Cook onto the field for most of the game. 3. It seemed there was a lack of aggression from Todd Orlando. In most games where Texas struggles on defense early on, part of it is due to the lack of pressure. Orlando usually adjusts and Texas starts getting after the QB later on in the game. That didn’t happen vs West Virginia. Texas had zero sacks in the game, and I don’t remember many time WVU QB Will Grier was pressured by the Longhorn defenders. It makes sense why Orlando didn’t bring as much pressure. Two starting defensive backs were out in Davante Davis and Brandon Jones. And bringing pressure puts more pressure on the defensive backs in coverage. But sitting back in coverage didn’t do much good for Texas on Saturday. 4. We need to see more of safety BJ Foster. One adjustment that Orlando made that I really liked was inserting BJ Foster into the lineup in a role Jason Hall was used in last year. With the front seven struggling to stop the run, Foster came in and did a good job against the running game. I think it’s safe to say Foster might already be the best tackler in the Texas secondary. He will hit you hard, but also wraps up in the open field. 5. Has Texas not been as good as we think they’ve been in 2018? Looking through the schedule, and outside of Texas’ big wins vs USC and TCU the Longhorns haven’t won a game by more than seven points. I think it comes back to the point that Texas seems to play up and down to their opponent. Winning close and losing close has been the same theme for Texas, as it was in 2017. They’ve just come out on the winning end more in 2018. The next two games vs Texas Tech and Iowa State won’t be easy wins at all. The Texas offense looks good, now I just hope we see Todd Orlando let the dogs loose on defense and bring pressure. It’s one thing if you give up big plays when you bring the blitz, but it’s another when you still give up the huge plays when you drop eight in coverage. 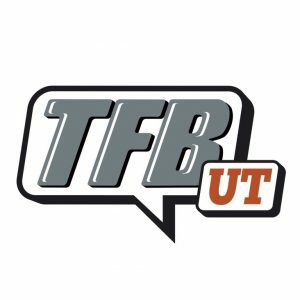 TFB Talking Point | Horns Down? Hot topic still…on Tuesday…is the ‘Horns Down’ issue. Should it be considered taunting? Does Herman have a point? Is this anything other than sour grapes for all involved? Is this a bad look for Texas by having the players continue to bring it up? I can see both sides of the argument. However, I do feel as though it is so specific in terms of it being blatantly anti-Texas, that it could be considered taunting. Tom Herman thought West Virginia's winning two-point play could have been called back for taunting. If you scrutinize the NCAA rule book, he *might* have a point. LJ Humphrey said opponents flaunting downturned hook 'ems irritate him. "We don't disrespect other schools. It bothers us a lot. For schools to disrespect us for no reason, it really pisses me off." – DE Breckyn Hager (Elbow) Dislocated elbow vs WVU. He is reported as having an injury in his forearm. – DB Brandon Jones (Ankle) Sprained his ankle prior to WVU game. Personnel Issues affecting Lil’ Jordan Moving Forward? Remember the days of Texas handing the ball to Kyle Porter on the goal line having a 6-foot, 3-inch, 240 pound running back from Rockwall, Texas stand on the sideline? Or going back and forth from quarterback to quarterback seemingly every game? And even worse, the all too common underutilization of the most explosive weapons on the Texas team like Armanti Foreman, Lil’ Jordan Humphrey, and Collin Johnson. It seemed as though those days were in the past for Tom Herman and the Longhorns coaching staff. After all, finding your “go-to” guys for a new coaching staff is not the easiest thing to do. However, it seemed as though the progress made by Herman and offensive coordinator Tim Beck took a step back on Saturday. The Longhorns took a 31-27 lead into the fourth quarter, yet trotted out John Burt, Jerrod Heard, and Brennan Eagles to begin the quarter. That trio this season has combined for five catches for 73 yards with no touchdowns. On the bench stood the aforementioned Humphrey, Johnson and Devin Duvernay. That ensuing drive to start the fourth included seven of eight plays being called on the ground and resulted in the Longhorns passing up the 4th-and-1 opportunity for a field goal to put them up by seven points. Imagine not having this guy on the field in the fourth quarter of a must-win conference game. The outcome of points on the board is nothing to be upset about, however, the personnel decision and play calling at the time left a rather submissive approach to the final quarter by Herman. Lil’ Jordan Humphrey and Collin Johnson did not receive a target the remainder of the game. Though a 48-yard touchdown pass to Devin Duvernay on the next possession counteracts the notion that Texas played conservatively, the first drive of the 4th quarter screamed Texas was playing “not to lose” rather than playing to win at home with Big 12 championship game hopes on the line. The visual frustration of Humphrey was rather evident following the two-point conversion by West Virginia quarterback Will Grier, as he sent his helmet flying about 20 yards down the Texas sideline as the teams met in the middle of the field for the post-game handshakes. Humphrey finished with nine catches for a career-high 143 yards and a touchdown on the afternoon, though the inadvertent benching in the fourth quarter certainly won’t help Herman try to convince Humphrey to return for his senior season. In the end, Herman’s mantra of going with the “hot hand” was absent Saturday and it might have cost the Longhorns at a shot at a Big 12 championship game appearance.